A waiting hand extends from within an impenetrable haze that shimmers with diffused lights, beckoning one to step willingly into its shifting labyrinth. The outstretched palm belongs to one Tosten Larson, guitarist for Seattle-based folk group King Dude, who now holds aloft his own lantern to guide listeners towards a lustrous salvation. Under the moniker, The Dark Red Seed, Larson and King Dude engineer Shawn Flemming have followed up on their 2017 EP Stands with Death with their full-length debut Becomes Awake. 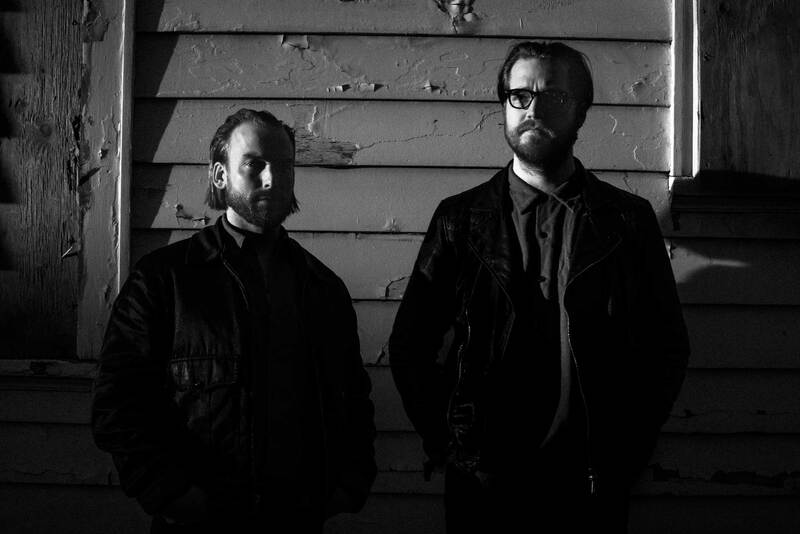 Dive into their beguiling world with our exclusive full album premiere. 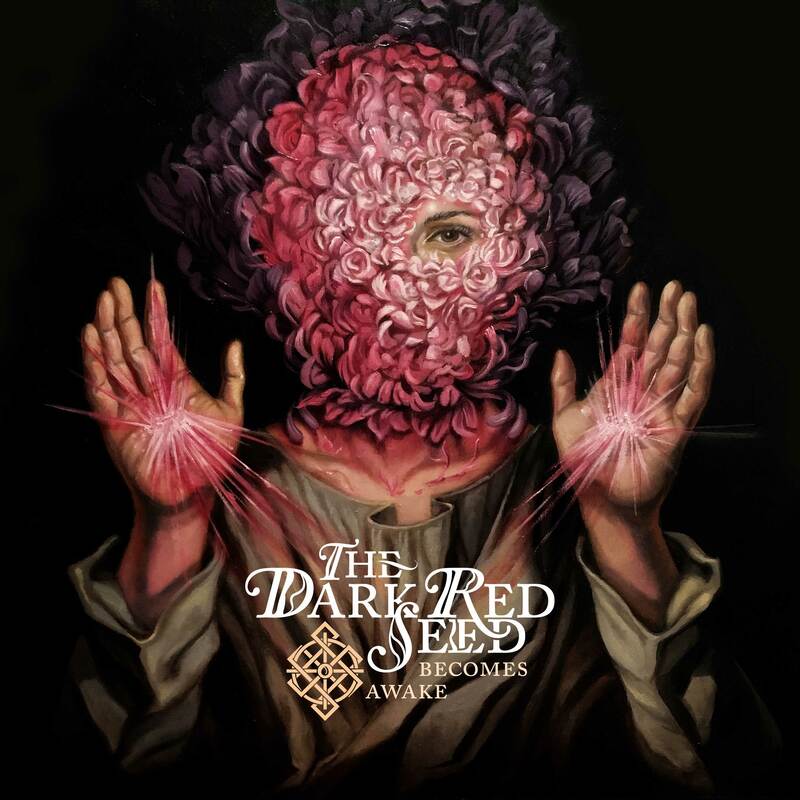 The Dark Red Seed spin psychedelic dark folk with a healthy dash of cowboy swagger, steeped in eastern progressions and melodies. Larson’s dusky voice holds court over the swirling textures and resounding chords which evoke the bourbon-soaked, smoke-filled saloons and speakeasies of years long gone. If Murder By Death and Nick Cave embarked on an ego-destroying DMT trip, then returned to write an album about it, the results might be similar to what Larson and Flemming have created with Becomes Awake. The Dark Red Seed make extensive use of an eclectic range of instruments, including strings and brass, as well as vocal harmonies and other atmospherics for a dizzying range of sounds. The album is broadly ambitious in scope but unified in vision and aesthetic, and its sprawling, languid pacing provides plenty of stimulus for a meandering mind as the floating, ghost-noted drumming gently urges the more aggressive songs ahead. On vocals, Larson is a vociferous zealot enraptured by the throes of passion in some moments, and in others, an enigmatic sage barely capable of speaking in whispers. Becomes Awake releases on Friday, May 18th, with Prophecy Productions. Pre-order the album now in vinyl and CD formats as well as in digital format on Bandcamp, and follow The Dark Red Seed on Facebook.